This morning, Georgia Tech’s Center for the Enhancement of Learning (CETL) hosted the annual Celebrating Teaching Day. 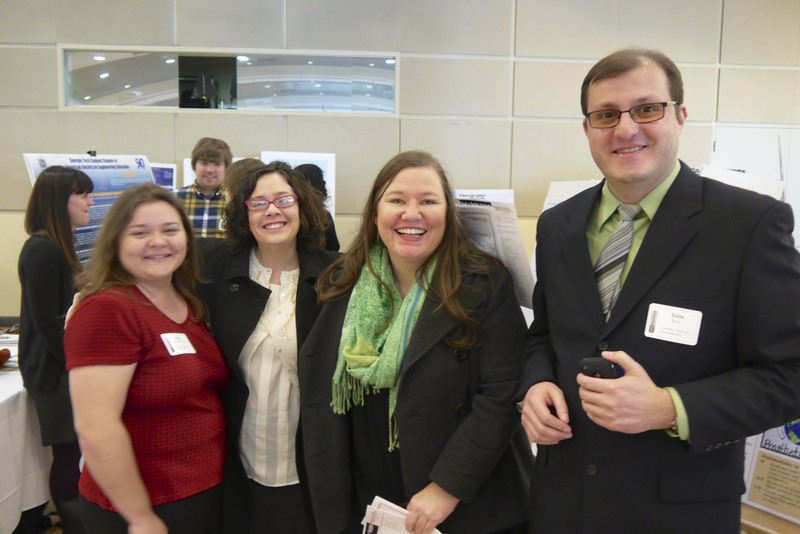 We began with a poster session that showcased pedagogies and assignments from across campus. 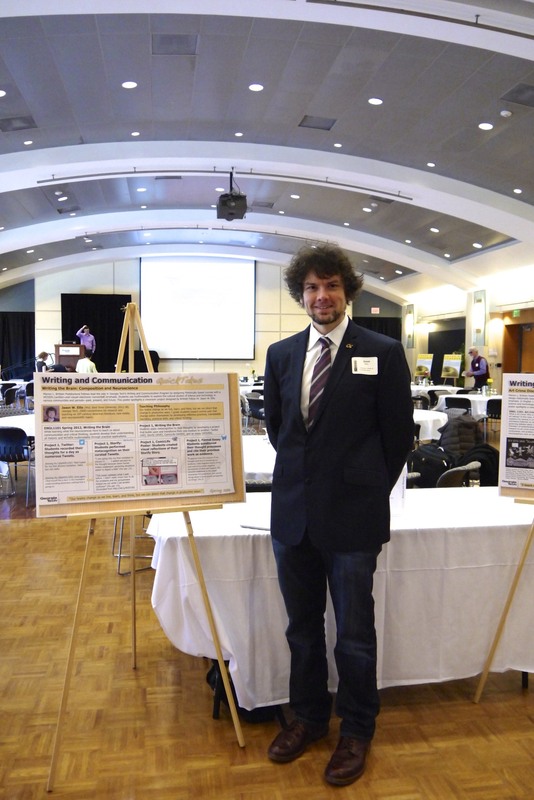 A number of Brittain Fellows had their posters on display and we were there in force to talk about our teaching of communication as rhetorical and multimodal (WOVEN = written, oral, visual, electronic, and nonverbal). I presented my poster on, “Writing the Brain: Composition and Neuroscience” [you may view it here–with thanks to my student Jinming Hu for giving me permission to share his work from class]. We were able to share teaching ideas and techniques with others from the Georgia Tech community. Emily Kane explaining her assignments. 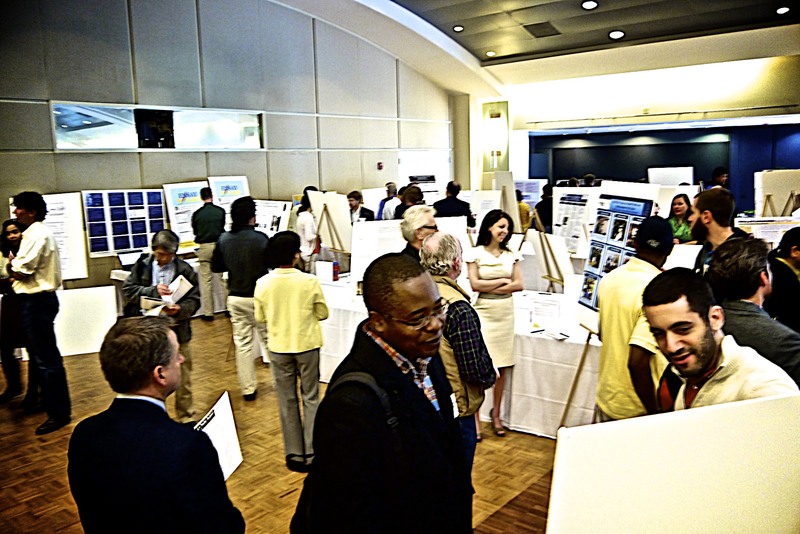 The poster session was very well attended by people from across campus. 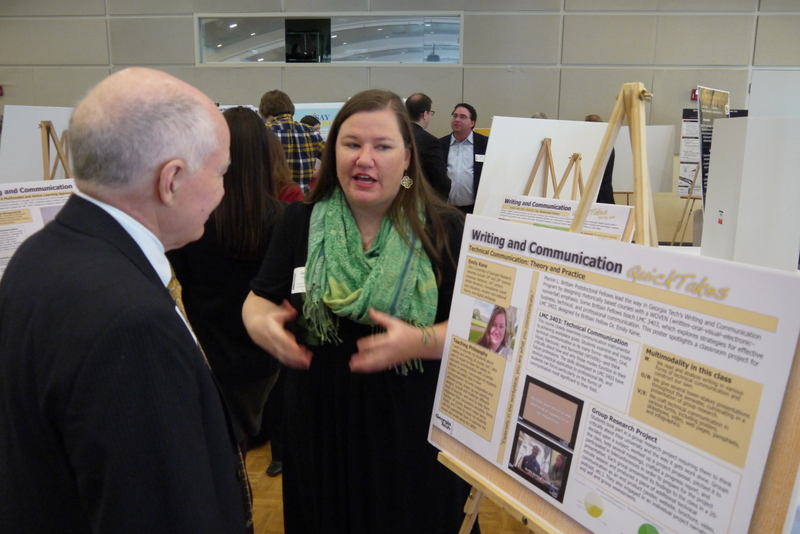 The posters demonstrated the innovative teaching taking place at Georgia Tech. Lots of visitors and lots of posters at Celebrating Teaching Day, 2013. 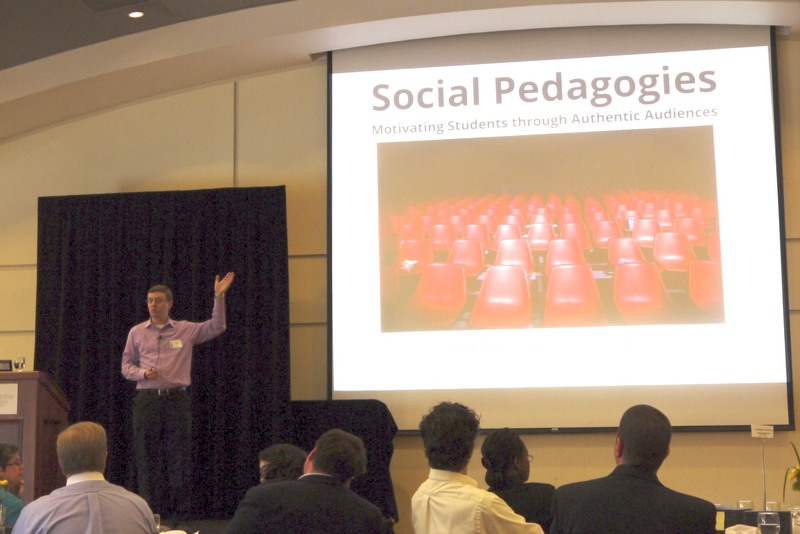 Derek Bruff’s Social Pedagogies Presentation.